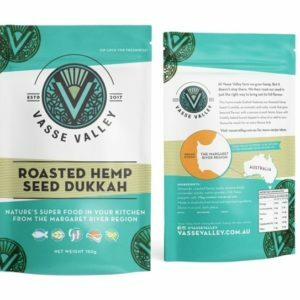 First Western Australian paddock-to-plate hemp food business. Vasse Valley controls every aspect of production to keep things local and ensure our consumers are getting a quality product. 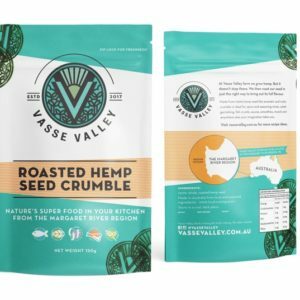 Unlike most hemp seed products, Vasse Valley products use the entire hemp seed, giving you its full nutritional benefit. Perfect roasting technique to bring the hemp seeds full and delicious flavour. Grinding it intensifies this flavour and breaks the seed shell to give you that amazing crunch factor and massive fibre hit.